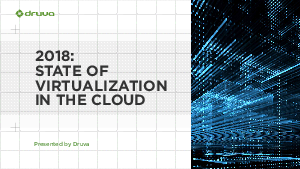 Momentum of cloud adoption for virtual workloads continues to grow, but it’s not without challenges. While there are a variety of motivations driving this transition, one thing is clear: organizations are still figuring out what the best approaches are. No matter where you are on your journey to the cloud, understanding the role the cloud plays with your virtual environment has become an integral part of your IT initiatives.